Here’s some very interesting news from our industry: the traditional Azerbaijani carpet is now on UNESCO List of Intangible Cultural Heritage. 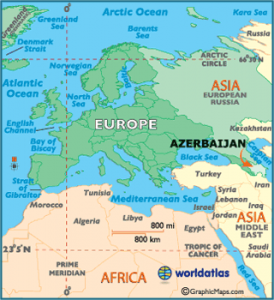 As you may already know, Azerbaijan is a country with an extensive history in the carpet industry. Their carpet weaving history goes as far back as 2,000 BC, which is simply incredible. They also had, and still have, carpet weaving schools which produce some of the finest and most durable carpets in the world. Sure, it may not be important as the Persian rug sold for 30 million USD, but for us it is rather important. 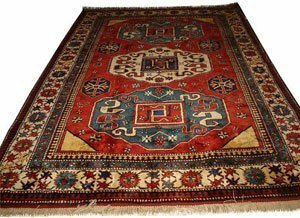 Let me explain: in our line of work, we rarely have to clean antique rugs or carpets, and we do understand their sentimental, historic and financial value. So when we hear of such news, especially about carpets from Azerbaijan and Persia, we really get excited here at Magic. A photo of a vivid Azerbaijani carpet (image source). Here’s an interesting image of an Azerbaijani carpet. Notice how its colours are still vibrant, regardless of its age and state. Apparently, the Azerbaijani heritage was added to UNESCO’s list on its fifth attempt, at a meeting in Kenya. The list is a project run by UNESCO (The United Nations Educational, Scientific and Cultural Organization) to create awareness and to protect the important cultural of various nations from across the world.